After speaking with families at a center for internally displaced people in the port city of Beira, the charity said it was concerned that the "urgent and long-term needs of children continue to grow," following the cyclone.Entire towns and villages were submerged during the Category 2 storm, which made landfall shortly after midnight on March 15, with 175 kph (109 mph) winds that brought and huge rains as it moved towards Zimbabwe and Malawi. During Save the Children's investigation, the agency asked children to draw their homes before and after the cyclone and to describe what they had witnessed. In their pictures, children drew devastating images of adults and children crying and people drowning in floodwaters. The charity used only the first names of the children and adults in its study. 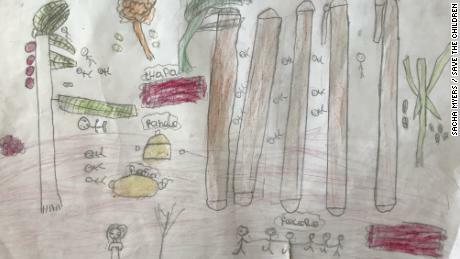 Ten-year-old Faizal's drawings showed a stark difference of his home before and after the cyclone. He drew himself playing outside his colorful home before the cyclone, compared to scene afterwards — which showed a colorless picture, with children crying "mama" and a person appearing to be decapitated by a corrugated iron sheet. 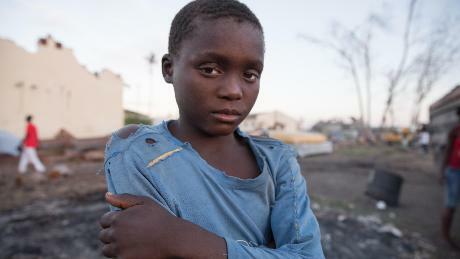 "Many children we have spoken to have seen their parents or siblings swept away by the floods or have witnessed their homes crumble around them," Save the Children's mental health and psychosocial support specialist in Mozambique, Maria Waade, said in a statement. "One girl we met saw her mother for the last time as she was pushing her onto a roof for safety. 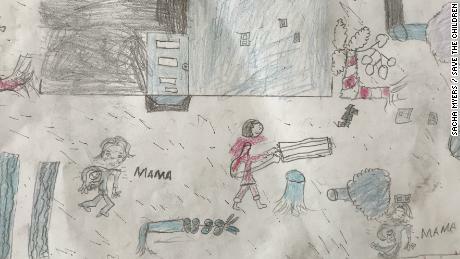 "These stories are frighteningly common, and this consultation shows that beyond rebuilding homes and livelihoods, we also need to focus on making sure children and their families receive the mental health support they need to recover from these experiences," she added.Eleven-year-old Ines drew a picture of dead people surrounded by broken trees. "If people didn't hold each others hands, they'd fall in the water," she said. "I nearly fell down in a lagoon, then my aunty grabbed me. I held her handbag." According to the charity, one mother says she's noticed her children have started bedwetting since the cyclone and are more aggressive and clingy. 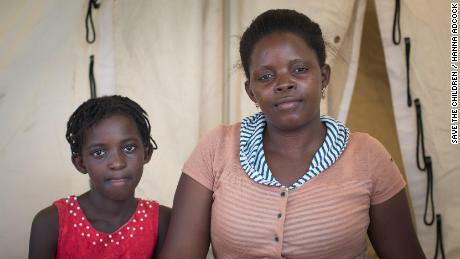 "Since the cyclone, the children have changed," 29-year-old Regina said of her five children. "Sometimes they will get angry, sometimes they keep asking how we will get back. It's a war for them."